Alexander Solzhenitsyn was born in 1918, a year after the Bolsheviks stormed to power throughout Russia. He studied at the University of Rostov and served with distinction in the Russian Army during World War II. In 1945, he was arrested and imprisoned in a labor camp for eight years because he had allegedly made a derogatory remark about Stalin. 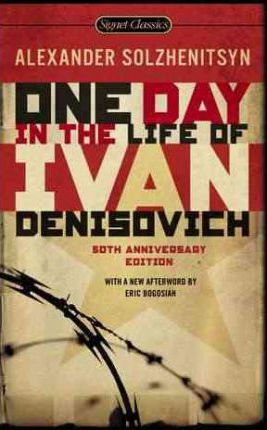 Released in 1953 after the death of Stalin, he was forced to live in Central Asia, where he remained until Premier Khrushchev's historic "secret speech" denouncing Stalin in 1956. Rehabilitated in 1957, Solzhenitsyn moved to Ryazin, married a chemistry student, and began to teach mathematics at the local school. In his spare time he started to write. In 1970, Solzhenitsyn received the Nobel Prize for Literature. Four years later the Soviet Union revoked his citizenship, and he was deported. Solzhenitsyn settled in Vermont in 1984, but eventually returned to Russia in 1994, after the collapse of communism. He died in 2008.